Carpets are the infamous collector of allergens. Eco Friend Carpet Care professionals are here to help you to stay healthy and fit. Carpets are normally more shabby in the summer than at any other time. Friends, family and a constant stream of kids in and out mean-tempered grime and allergens. 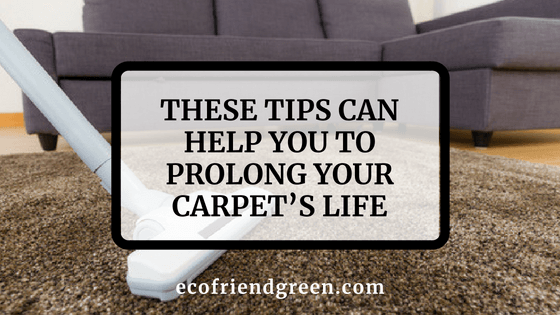 Here are a few tips can help you to prolong your carpet’s life beautiful and functional. Have family and friends take shoes off at the door, and ask them to do the same. If one will do it, likely others will follow. This will reduce the amount of wear and tear on your carpet, which helps you to maintain your carpet in good shape for longer. Are you planning for a party or get-together? Consider runners, which can cover the majority of traffic patterns. This will save carpet for a longer time and give people a place to wipe their feet if it is necessary. Area rugs are great at the entrance to give a warm welcome to your guest. Vacuum is the best option to keep your carpet clean and beautiful. Nowadays many vacuum cleaners comes with the special upholstery cleaning extension, which is the best option to clean your mattresses and ditch the dust. You can run the vacuum nozzle on the top and sides of the mattress and you can flip the mattress over and vacuum beneath too. Changing furniture location will affect your carpet sometimes, moving furniture is also a good idea to clean the dust and it also gives different look to your home. There is no substitution for a professional cleaning. Get in touch with us by calling us or filling up our online enquiry form at Eco Friend Carpet Care to avail the best offers and services in carpet cleaning in Las Vegas. Our professional team will visit your home and use our superior system to bring your carpet back to near showroom condition in no time. This will also reduce allergens and other potential health problems in the home. Eco Friend Carpet Care has been providing quality carpet cleaning in Las Vegas, NV. What are you waiting for? Call (702) 768-4900 us now to make an appointment and help you keep your carpet looking in great shape. Since the last 2 decades, carpet has become the most popular choice for many households just because it is soft, comfortable to stand on, and it adds a certain kind of warmth to your home. It does require some maintenance though, and keeping your carpet clean is the ideal way to prolong the life of your carpet. Here are 2 important tips that will help you to keep your carpet clean. Frequent vacuum is necessary at least once a week. If you have a heavy traffic of pets or children in your house, then you may require more frequent vacuuming to keep your carpet looking good. Vacuuming will rid the carpet from dust, dirt, pet hair and other waste particles. Doing this regularly with ensuring there is less grime building up on the carpet, make your future job easier. Another great way to keep the carpet clean is using a carpet cleaning powder. This need to get sprinkled all over the floor, left overnight to soak up smells and dirt, and then vacuumed up in the morning. It is not a replacement for carpet washing, but it is a good way to maintain cleanliness in between washing. It also keeps your floor smelling fresh. How often Your Carpets Should Be Washed? Carpet washing really gets down to the top root of the floor and washes away all the dirt that your vacuum couldn’t pick up. The carpet needs thorough cleaning once a year. If your carpets are light in color or prone to collect dirt, then they need to get professionally cleaned two to three times a year. There are many people who struggle with one question whether they should buy their own carpet cleaning solution or hire a professional to clean it for them. The price of hiring a professional every year adds up quickly, and it isn’t cheap. However, nothing will get your carpets as clean as a professional team can, so it is well worth money and helps to prolong the life of your carpet. If you have a furry friend and your carpet receives high traffic, you might consider purchasing your personal carpet cleaning solution for touch-ups throughout the year. You can use it once or twice a month. But still, it is important to have a professional cleaning once a year. Contact Eco Friend Carpet Care and talk with our experts, they can guide you with the beneficial tips and help you with Carpet cleaning service. We provide commercial as well as residential Professional Carpet and Rug cleaning in Las Vegas and nearby areas. 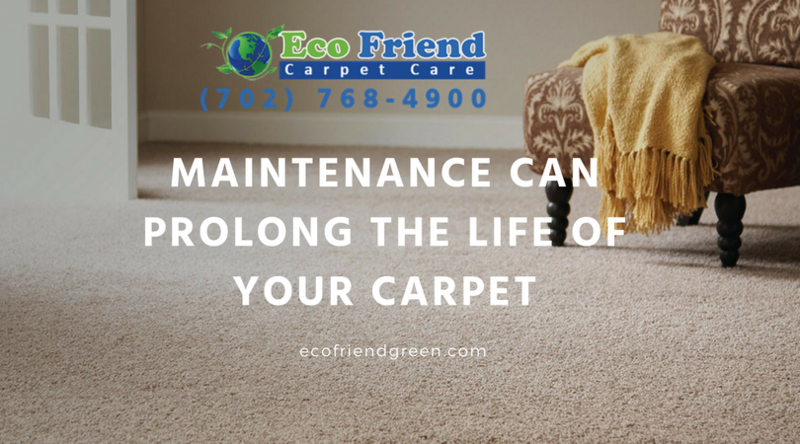 Call Eco Friend Carpet Care at (702) 768-4900. Further, you can follow us on Facebook, Twitter, and Youtube to get some more information related to our services. Summer is the time when flowers, trees and the plants are blooming, the grass is green which requires maintenance, and the air is fragrant with joy of life. 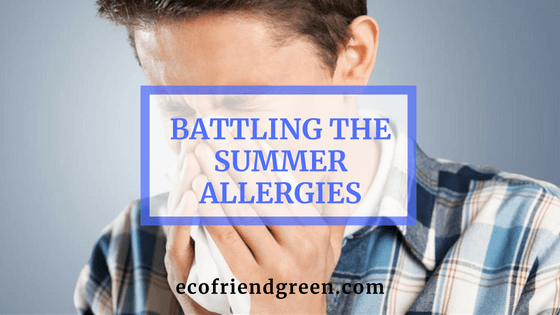 It’s also that time of year when millions of people are battling the summer allergies. Here are some details about seasonal allergies and ways, which will help you to prevent them. Allergic reactions occur when our body wrongly defends itself against something that is not dangerous. A healthy immune system defends against invading bacteria and viruses. Seasonal allergies commonly known as hay fever, sneezing or allergic inflammation, occurs when certain substance produce symptoms during a specific time of year. These symptoms can cause by pollen, tree, mold and a host of other things. Furthermore, if there is a carpet in your home, it is possible that the allergens are hiding deep down in the fibers of your carpet, which is why you seem to continue to suffer throughout the year with allergies. It is our goal to help and minimize your discomfort by keeping you updated about allergies and solutions. Here are some tips, which will help you to fight with summer allergies. Fans stir up allergens. Those who cannot go without a fan should run fan at a minimum, move it away from a window. We need to change air filters once in month and it is best idea when pollen counts are higher. When you go out you bring pollen and allergies with your feet, which need to remove before it enters in your house. Vacuum will provide you great help to remove dirt and allergies from your home to make your home beautiful and hygienic. Keep your vacuum filters clean and replace them regularly. Medications is one options, and there are so many other options, which can help to control allergy symptoms. If your allergies are severe enough to warrant treatment, then you need to concern your doctor to get best advice. If you are suffering from any seasonal allergies, there are some ways to minimize the same. So many clinic suggests staying inside on dry, windy day; avoiding lawn mowing and other outdoor housework clothes immediately if you have been outdoors. We offer carpet, rug, mattress, stone, tile & grout and upholstery cleaning services for both your residential and commercial needs. While our regular carpet cleaning rates are more than competitive with other carpet cleaners, we like to go that extra step for our customers with regular monthly cleaning specials that you can take advantage of by just calling us on (702) 768-4900 or liking us on Facebook.